Jussie Smollett speaks at the Children’s Defense Fund California’s 28th Annual Beat The Odds Awards on December 6, 2018 in Los Angeles, California. Days before the reported homophobic and racist attack against Jussie Smollett, he was offered around-the-clock bodyguards. As TMZ reports, the Empire actor denied Fox Studio’s offer to provide him with additional offset security detail while in Chicago filming the series, after images of a threatening letter with the phrase, “You will die black fag” were released. The studio temporarily suspended production on the series, now in its fifth season. Despite the timing, the suspension wasn’t in relation to Smollett’s attack, but due to Chicago’s inclement weather during the polar vortex, per E! Online. The Chicago Police Department and FBI are still currently investigating the incident. At this point, all we can do is speculate (or, choose to stay mum and await facts), but this report does highlight an interesting phenomenon to examine. Learning that this incident could’ve been avoided, had extra security been on hand when Smollett was outside at a vulnerable time of night, could be an upsetting revelation for those who care for him. Apparently, Smollett’s decision was due to the intrusive nature of having 24/7 security detail. 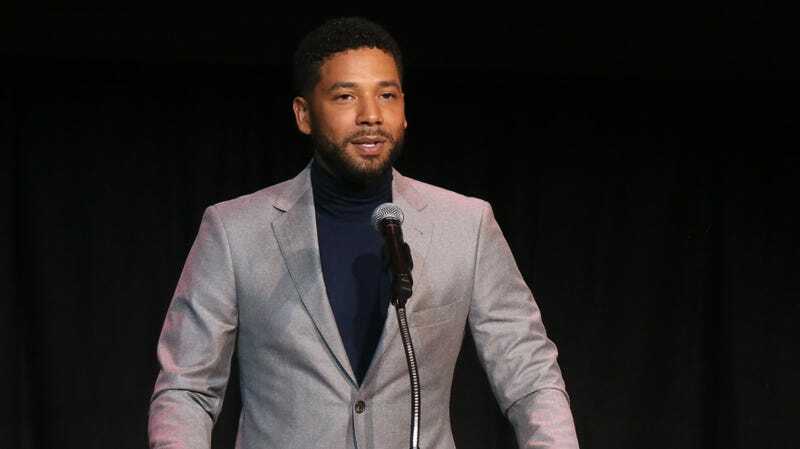 Certainly, the conspiracy theories around the validity of Smollett’s attack only exemplifies the argument for more boundaries by celebrities and public figures. If every move they make will be scrutinized, when do they get to have a space that is exclusively their own? And at the same time, because they are public, their (valid) demand for some personal space can also come at a risk. It’s a Catch-22, indeed. Maybe being left alone is the key here. And that goes for both potential attackers and the extra-scrutinizing audience. Due to the heightened risk now clearly presented here, though, Empire production sources told TMZ the actor-singer will have 24/7 security detail, after all.